In late October as the 2017-2018 season opener drew nearer, the Colorado Buffaloes’ roster looked to have more than enough depth in their front court to replace Wesley Gordon and Xavier Johnson. Add 6’8” incoming freshman Evan Battey, 7-foot redshirt-freshman Dallas Walton (coming off of a strong redshirt year in the weight room), 6’10” returning sophomore Lucas Siewert (looking to build off a solid freshman campaign), and of course 6’9” senior Tory Miller-Stewart (the Buffs’ new anchor). 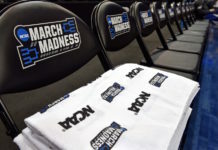 That’s part of the reason why Head Coach Tad Boyle was not pleased when he received the news on the week of October 23rd, that the NCAA had declared Battey academically ineligible for the upcoming season. It was a very poor decision by yet another incompetent NCAA committee. One that sends the wrong message as far as what is tolerated amidst a sea of scandal and deceit. Nevertheless, frustrated but optimistic, the Buffs took the punch in stride. The ruling came down one week before CU’s closed-door scrimmage against SMU, as well as their exhibition against the Colorado School of Mines. A big blow, however with their front court depth, they could take a hit and be able to keep moving forward. 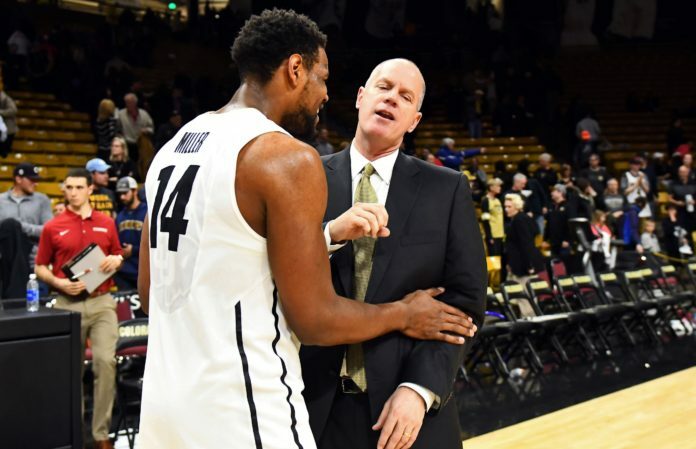 Battey was sidelined for the Buffs’ preseason foreign trip due to an injury he suffered in the 10 practices leading up to the journey overseas. So while the judgement undoubtedly hurt, Boyle had already gotten a glimpse of what life without Evan would be like this season during their four exhibition games in Italy. Worse off without him, but far from devastating. Fast forward to December 1st where a 6-0 start to the regular season and a non-conference tournament win under their belts had Boyle’s young squad feeling pretty good. Yet, one can’t help but think that the Buffs were a last second game-winning shot by freshman point guard McKinley Wright IV away from disaster in the first round of the Paradise Jam. However, this is college basketball, adversity comes in all different shapes and sizes. They key is how you respond. Through their first handful of games, the Buffs had bounced back time and time again, a good early sign for this team. Colorado was proving they could beat the teams they should be beating, an essential step in developing a team with so much youth. CU’s three wins in three days in Lynchburg, Virginia did not come without a toll of its own though. Lucas Siewert suffered a foot injury late in the second half during the Buffs’ second round matchup with the Drake Bulldogs. Despite his absence, CU secured the tournament championship by taking down the Mercer Bears the following evening. Colorado returned home and was given a very good game by the Air Force Falcons on their home floor on Thanksgiving weekend. Behind 25 points and a career-high 15 rebounds from George King, the Buffaloes took down another in-state opponent. A soft opening to the schedule, but nevertheless, a good 6-0 start. Colorado was in a good place as the hoops version of the 2017 Rocky Mountain Showdown rolled around last week. George King had 50 points and 23 rebounds combined in his previous two games. McKinley Wright IV had scored 19 or more points in three of his six first career games. In doing so he became the first Buff since Alec Burks in ’09-’10 to begin his career with at least six-straight double-digit scoring efforts. More importantly, CU had gotten back to playing Tad Boyle’s brand of basketball. Defense and rebounding. They were holding teams under 40% from the field and their rebounding margin was a +9.5. Their work on the glass had actually been a pleasant surprise in the early going. Preseason, we wondered how this team would replace the 22 rebounds per game left behind by the graduates of ’16-’17. At the outset, concerns had begun to dissipate. Just under 48 hours before their matchup with their in-state rival, the Colorado State Rams, the Buffs were dealt another big blow. This time, one they were they going to not pop right back up from. Tory Miller-Stewart broke his foot while participating in one of the final practices before CU would make the trek to Fort Collins. First, Battey was sidelined due to yet another terrible ruling from the wonderful men and women over at the NCAA. Body shot absorbed. Second, Siewert was nowhere close to 100% but now had to play due to necessity. Straight right to the face, swelling developing. Now, Colorado would be without one of their just three scholarship seniors for the remainder of the season. Significant strike landed, backpedaling, wobbling. Dallas Walton started in place of Tory against CSU and tallied six points and three rebounds in 16 minutes. Siewert played just six minutes himself in the first half as he attempted to play on that injured foot. However, he sat the entire second half, Tad said afterwards he just couldn’t go. He was also very cognizant about Siewert not re-injuring the foot either. With the long season ahead, they will need him healthy now more than ever. Tad and the team downplayed the emotional aspect of the loss after the game. However, no one denied the fact that it was evidently clear that the Buffaloes missed Miller-Stewart against the Rams. Both as an emotional leader, and as their best post player. Colorado was dominated on the glass and CSU finished the game out rebounding the Buffs by 14. McKinley Wright IV had another late run in him, scoring 11 points in the span of 1:27 cutting the Rams’ lead from 17 to 6, but this time, it was not enough. Colorado certainly made things interesting down the stretch, but in a hostile environment in their first true road game of the year, and for many on the team the first road game of their careers, the Buffs did not have the will or the experience to nullify the deficit. For the second-straight game, the Rams came out on top. 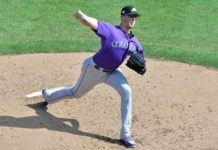 Now Boyle & Co. are faced with having to retool rotations on the fly. It’s an all hands on deck effort working to prepare their team the best they can for life without Tory. Amidst all the uncertainty, there is one thing we do know about the Buffs. Small ball will now have to be a big theme in 2017. While Walton played 16 minutes, only time will tell if he’s able to contribute that many good minutes against better teams. Early indications would lean towards 15 minutes per game being about the ceiling of what Dallas might average this season. He’s much better than the lanky 18 year old that stepped onto campus last year, but he was always going to be a long term project for this coaching staff. While that’s purely speculation, don’t expect it to be much different than that. At the position Colorado thought they might have the most depth this year, all of a sudden it is their thinnest spot. Other than Walton, Siewert is the only other Buff taller than 6’7”, and he’s still recovering from a foot injury. The worst thing about suffering an injury like the one that Lucas has, is that rest is definitely the best medicine. However, the Buffs don’t have that luxury as they enter the biggest week of their non-conference schedule. That means Colorado will need contributions from the versatility that Boyle recruited in his roster. 6’6” George King, listed at 225lbs, will have to use his physicality more than ever before to consistently rebound every night at a high level. Namon Wright, who led his team in rebounding at Missouri his sophomore year at 6’5”, will certainly have to find some of his old prowess on the glass in order for the Buffs to have the success they want moving forward the rest of the season. However, George and Namon are already starters. They can only do so much every single game. The battle to supplant Tory’s playing time will come down to three guys. Tyler Bey, Lazar Nikolic and D’Shawn Schwartz. All will all be asked to step up and play vital roles for CU grabbing extra possessions and contributing in the paint on the defensive end of the floor. All three freshmen stand at 6’7”, all listed over 200lbs a piece. They are not the perfect fit to the problem by any stretch. They do all have potential and now they will get opportunities to prove themselves. Of all three, Bey would seem to be the leader in the clubhouse for a look at an expanded role. With a 7’2” wingspan, he poses potential as not only an elite rebounder, but an elite defender as well. He posted a career-high six rebounds against the Rams on Saturday in Fort Collins. However, Tad said after Tuesday’s practice that as far as the comparisons to Andre Roberson go? You can throw those out the window until he asserts himself more consistently on the offensive glass. There is another issue though that may be more glaring though for Tyler though. The freshman wing from Las Vegas has 13 turnovers in seven games and has picked up four fouls in each of his last three games. There is no denying he is uber-talented, and his ceiling is sky high, but Tyler hasn’t been as effective in the early going as originally anticipated. If Bey can’t get things figured out relatively soon, he will most likely lose some playing time to the savvy Serbian, Lazar Nikolic. Unlike his teammate, Nikolic is much more polished offensively but is not the explosive athlete and doesn’t quite have the defensive potential of a guy like Bey. Yet the same can’t be said about Lazar on the glass. He has already posted two games this season with at least six rebounds. While traditionally thought of as a point guard, he brings a very unselfish attitude and is willing to do whatever is asked of him. At his size, he provides the coaching staff with a unique versatility that we may see Tad Boyle begin to rely on more. Lazar was behind the eight-ball to begin the season after not passing through the NCAA clearinghouse until after CU’s preseason trip to Italy. However, since he’s gotten to campus he has begun to catch on quickly. Look for an uptick in playing time for Nikolic now as the Buffs begin to look for answers. Lastly, D’Shawn Schwartz has been one the Buffs most efficient players on this year’s team. He has played 87 minutes this year and has still only turned the ball over once. Schwartz operates mostly off of the ball with one of the most fundamental shot forms you will find in an 18 year old lefty. Yet, D’Shawn must become more aggressive crashing the glass on both ends of the floor to steal the Buffs extra possessions. His ability to effectively score the ball will never be a question and will certainly earn him minutes and a big role in Boulder throughout his career. The difference for D’Shawn seeing more of the floor in ’17-’18 will come if he can develop into a disciplined defensive player and an above average rebounder. That has yet to be determined. Any time you lose one of your team’s biggest pieces, it requires a collective effort to replace what they provided. In the first test, the Buffs’ team effort was simply not good enough to compete with a somewhat-above average Mountain West team. What will happen against teams like USC? What about Arizona and their twin towers of DeAndre Ayton and Dusan Ristic? Luckily for Boyle, they do not have to worry about that right this minute. The Buffs simply need to figure out who is going to seize the opportunity at hand. Sure, the Buffs will take their lumps this season, you can only do so much if you are simply under manned, but it is not an excuse. They still have to figure out how to compete on the glass on a nightly basis. Preseason, we wondered how Colorado would replace their 22 rebounds per game they lost. Now, without Miller-Stewart for the rest of the year, a somewhat-hobbled Siewert for the time being, a required redshirt year for Evan Battey, and a largely unproven roster, one can’t help but think back to the root of the original question. Outside of George King, who will man the glass for the Buffs? And will it be enough?